Everyone knows F-500 Encapsulator Agent can quickly extinguish three-dimensional fires, Class A, B and even Class D fires, and can render gasoline and diesel fuel nonflammable, but what about polar solvents, like ethanol? In this video, the firefighter takes E85, which is available for Flex-Fuel Vehicles (FFV). 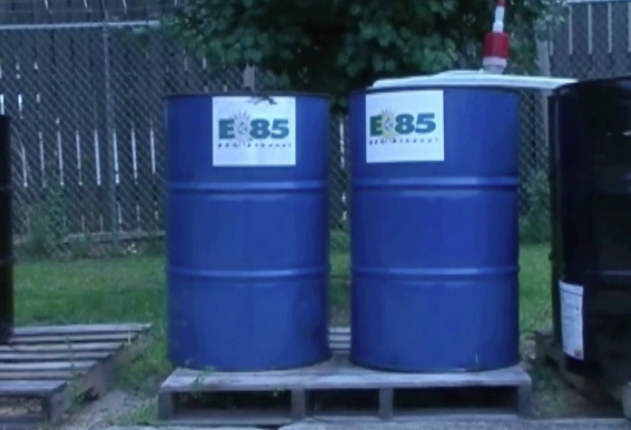 E85 is 85% ethanol and 15% gasoline. To completely neutralize E85, or any hydrocarbon, you simply need 1 part of F-500 EA and 40 parts of water to 8 parts of spilled fuel. So, 8 gallons of E85 spilled on the highway would require one gallon of F-500 EA and 40 gallons of water. Flowing F-500 EA at 3% from a 95 gpm nozzle would neutralize eight gallons of E85 in less than 25 seconds.